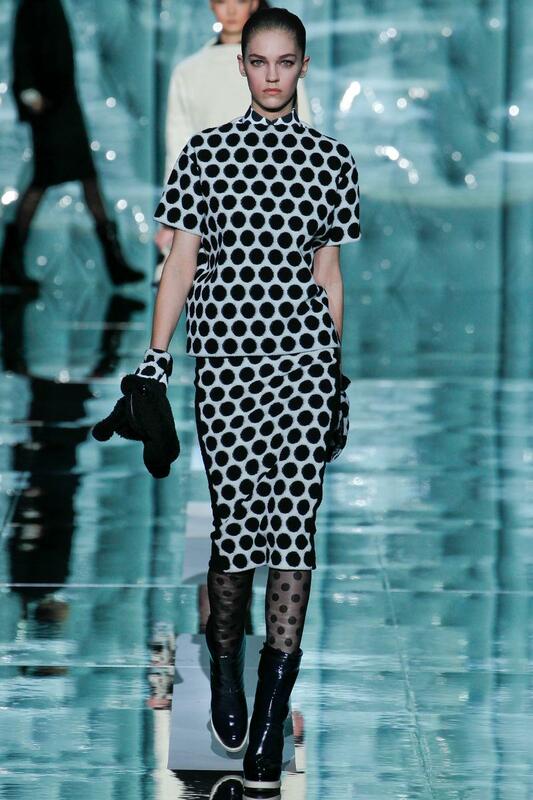 For the Valentino show, I opted to wear a Valentino polka dot red dress (similar here). I matched my Stella Luna heels (similar here and here) with my dress for the ultimate red impact. It was raining that day (yet again) and I needed a jacket that would be waterproof. Lucky for me, Ahn graciously let me borrow his Burberry clear PVC trench coat (similar here and here) which you can see in this video. The clear PVC trend is one of the biggest trends this season. I wore my staple Poppy Lissiman sunglasses (similar here and here) to cover my skin breakout. As you all know, these sunglasses are one of my favorites at the moment and I even wore them although it was snowing. As I rushed out the door I made sure to wear a matching red Valentino handbag with stud details to give my look some edge.